The Tiki range appears similar to those of Country and The Wild due to its brown colour and rugged texture. 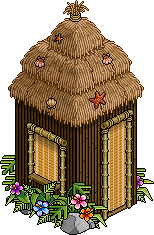 The Tiki range has been on Habbo since Summer 2008, but the Tiki Gate was not released until the 29th February 2012, when it appeared in the "New Items" and "Dividers" section of the catalogue for 1 Credit. The Tiki range is also the only selection of furniture that contains a Parasol which isn't Rare (such as the Violet Parasol). Perfect rug to lay over the sand. Wiggle your Habbo toes in the sand! Adds a nice refreshing smell to the room. The best tropical fruit ever! Perfect to help protect you from the sun. The perfect place to set your tropical drinks! Perfect addition to your Tiki Bar Desk. Relax your Hula dancing feet! 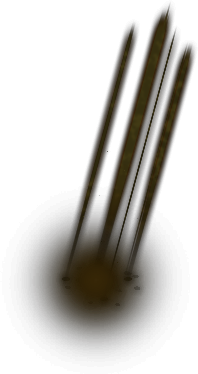 To help light your way. Sit and let the sound of falling water put you into relaxation! As part of a global campaign during 2015, which focused on reviving old furniture lines, several new furniture items were added to these lines. Tiki was one of these lines. Hula your way to another world. Get the sand off your toes. Crafted from the finest island woods. Surf the waves at dinner time. You might even call it a...Patrick Starfish Light. Falling coconuts will make you see lights. This page was last edited on 12 March 2017, at 02:41.